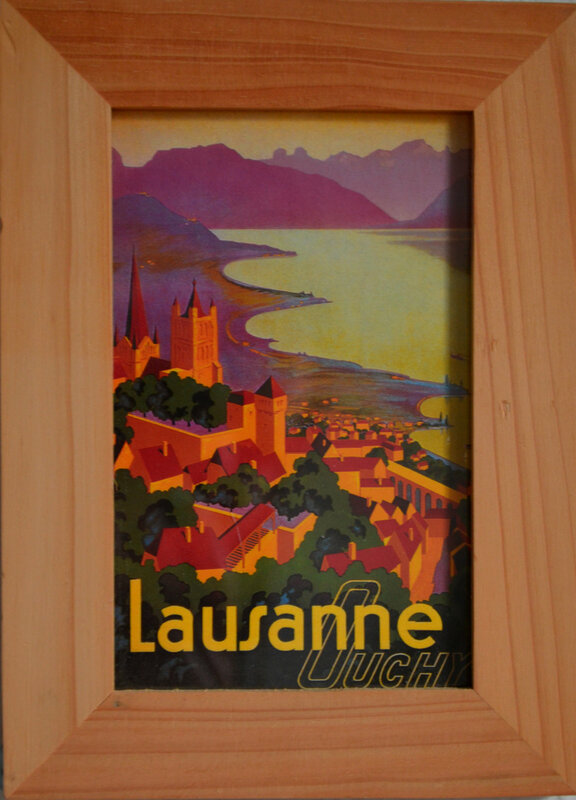 Travel Tuesday: Lausanne | Que Sera Sara? The clocks have gone back! It should be, according to Hallmark cards and sitcoms, a time for flowers and bunnies and chocolate. NOT, I think, snow and more snow and the occasional sleet storm. But that’s Scotland for you. Always the underdog. And so today, I return to Travel Tuesday, thinking of an Easter weekend long since past. I remember once telling my grandmother that I could fly to Rome in less time than it’d take her to get to DC. She audibly gasped down the phone. Europe is surprisingly small. Which is incredibly handy, really. I love nipping to some other country for a weekend the way my parents might go to the Lake. One of my first international weekend-ers was an Easter break I booked with friends. They were travelling around Europe, I had a couple of days off from work. Let’s meet up in the Alps for the weekend! I said How cosmopolitan! It was the first and last time I would travel peak family-holiday Easter season though. I practically could have bought a car with what I spent on flights and hotels in those two days. But that is neither here nor there. Live and learn. We met up in radiant Geneva. The city was practically glowing with sunshine and we wandered about in sundresses and t-shirts, on a mission for crepes and mostly gossiping about lives we used to lead 5,000 miles away. The next day we hopped a train to Lausanne, the name of which we insisted on singing (or rather growling) long and flat, like foghorn; or more accurately, like a song by The Police: Laauuuu–sanne! Yet another picturesque hilly town of antiquated charm and lolling piazzas greeted us at the platform. It’s a lovely little place. And we could have gone to museums and followed tourist trails. We could have Done Lausanne the way the guidebook says. But it was a warm, bright spring day, and we were glad to be on holiday with no strings and no rules. So, we dug euro coins out of our pockets. We rented a paddleboat and twiddled about on the pristine lake just below town for most of the afternoon, watching the mountains rising-up impossibly and imposingly from behind the sherbet coloured houses. We bought ice creams. We laughed and splashed about. We trailed fingers in the cold mountain water. When I think of Easter I often think of this Springy, lackadaisical adventuring. The final sigh of lazy hibernation as the warmth seeps into your bones and the quickening blood of summer races in the wings. While I may never see Laauuuu–sanne! again, I will always love its old-world style and the quiet weekend of simple pleasures it afforded. Someday (and probably someday soon), when the next state is several hours drive away and there are no foreign climes on my doorstep, I will remember the blissful romanticism of jetting off to some other country within two timezones. … and hopefully, I’ll remember that exorbitant airfare and exotic locales don’t add up to a hill of beans next to good friends, fresh air, beautiful views and sprinkling of sunshine.